Some of my research is listed on researchgate.net. 2017: Straight lines on models of curved surfaces. In: The Mathematical Intelligencer, Springer, see the article online. 2015: On Alfred Clebsch and Cubic Surfaces, p. 2798-2800 in: Oberwolfach report No. 47/2015 (PDF). 2014: Faszinierende Mathematik. Singuläre Flächen in Glas. In: D. Ludwig, C. Weber, O. Zauzig: Das materielle Modell, Wilhelm Fink. 2011: Terme in Bildern (20 Seiten), in: Tagungsband des GDM-Arbeitskreises Geometrie. 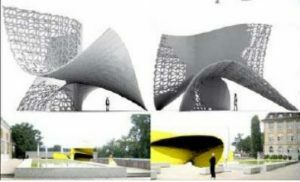 2009 (with G. Barczik and D. Lordick): Algebraic Geometry in Architectural Design. In: Proceedings of the 27th eCAADe, Istanbul, Turkey. 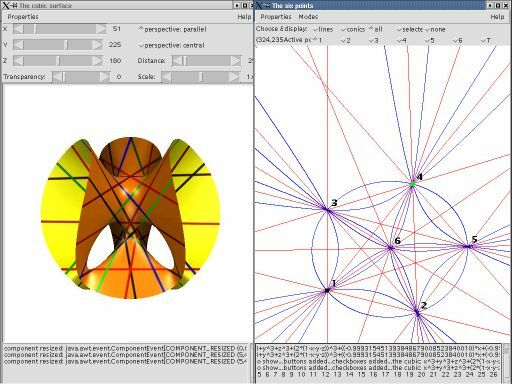 2009: A List of Challenges for Real Algebraic Plane Curve Visualization Software, p. 137-164 in: Nonlinear Computational Geometry, edited by I. Emiris and F. Sottile and T. Theobald, IMA Volume 151, Springer.Downloads: Article as PDF. Explicit list of polynomials for challenges in low degrees. 2007 (with Hans-Christian Graf von Bothmer, Josef Schicho, Christiaan van de Woestijne): The Casas-Alvero conjecture for infinitely many degrees, (see also: arxiv.org/math.AC/0605090), p. 224-230 in: J. Algebra, Vol. 316, No 1. 2006: A Septic with 99 real Nodes, (see also: arxiv.org/math.AG/0409348), p. 299-313 in: Rend. Sem. Mat. Univ. Pad., Vol. 116. 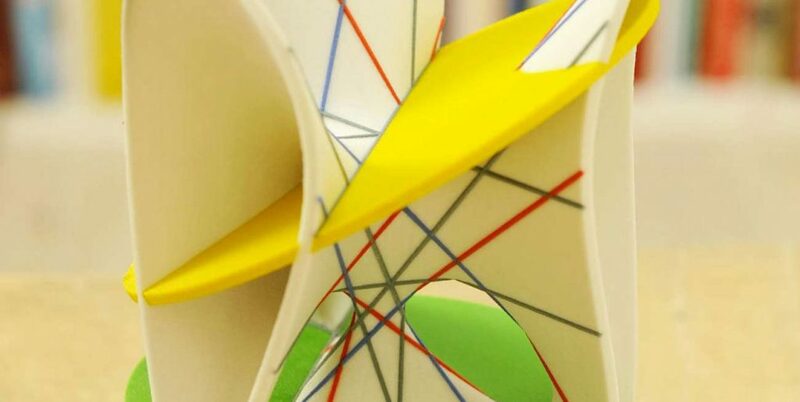 2005: Hypersurfaces with many singularities – History, Constructions, Algorithsm, Visualization. Ph. D. thesis, Mainz, Germany. 2006 (with S. Holzer): Illustrating the Classification of Real Cubic Surfaces, p. 119-134 in: M. Elkhadi, B. Mourrain, R. Piene, Algebraic Geometry and Geometric Modelling (Springer). 2002 (with D. van Straten): A Visual Introduction to Cubic Surfaces using SPICY, in: M. Joswig, N. Takayama: Algebra, Geometry and Software Systems (Springer).